Interesting. 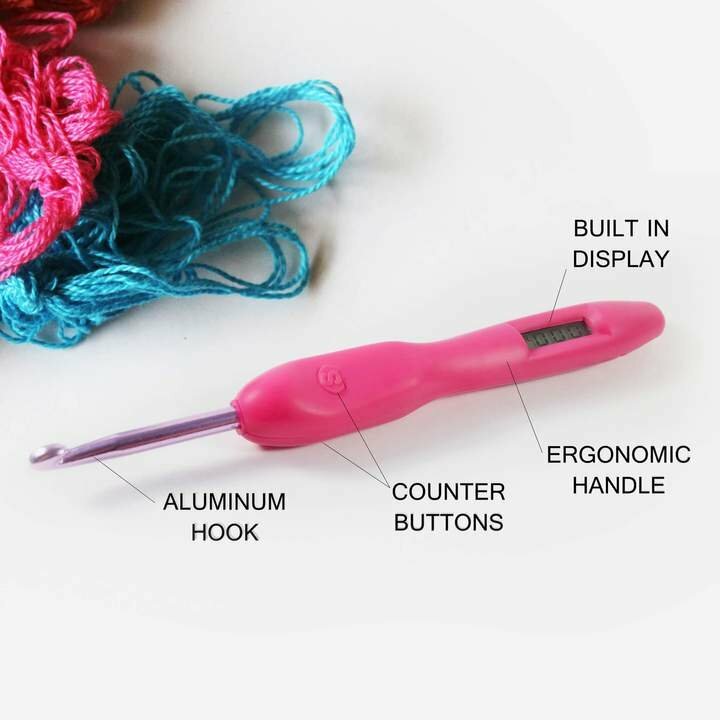 Are you sure this isn't a row counter, which is a stand-alone tool (I've never used one; I also knit, and I think row counters might be used more by knitters than crocheters just by the nature of the stitch appearance). I think it would be a pain to click the button each stitch, and knowing me I'd forget for a while, and wonder where I left off.... Plus it sort of looks like you could click it by mistake just using the hook. I personally would pass. If you have trouble keeping track of stitches, you might think of using stitch markers (I use bobby pins, they're cheap and stay put; if I do lose one, which is rare, it's no biggie). If I have to chain 300, I'll put a stitch marker in every 50th stitch; or if it says 'increase at the edge every 4th row, 5 times', I'll put markers in the increases to keep track of where the increase was, and how many I've done, for a couple of examples. I saw these last week at JoAnn's and my first reaction was "Meh, just another gimmick". I do just like Granny Square and mark my stitches every so often.